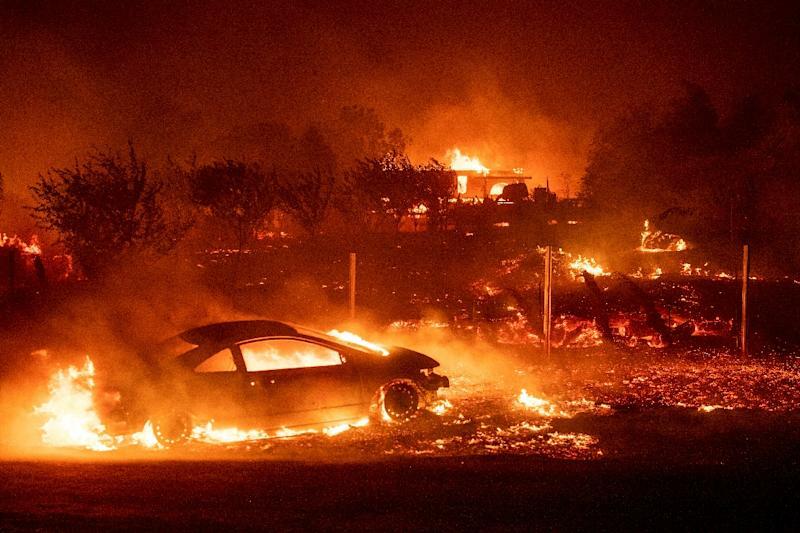 Paradise (United States) (AFP) - Nine people were killed and hundreds of thousands ordered to evacuate as wildfires raged Saturday across California, with one rapidly spreading blaze threatening the resort of Malibu, home to Hollywood stars. 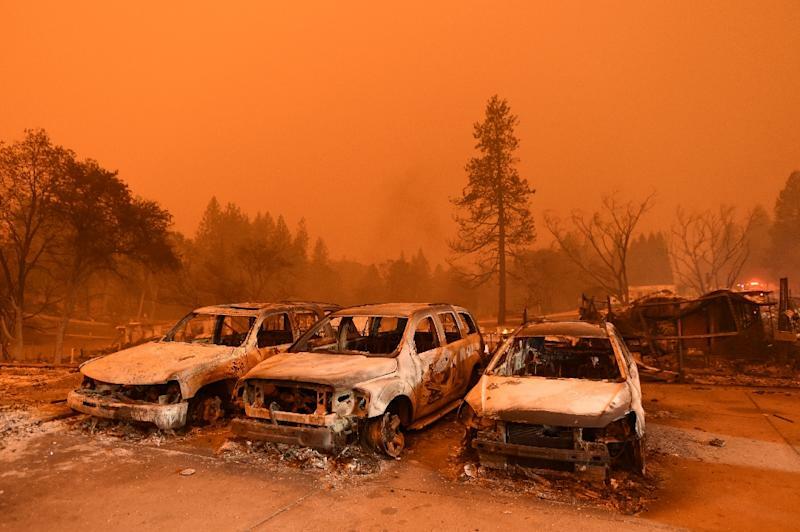 The fatalities were reported in a massive late-season inferno in the town of Paradise, in Butte County north of the state capital Sacramento, where some 6,700 structures went up in flames - officially becoming California's most destructive fire on record. 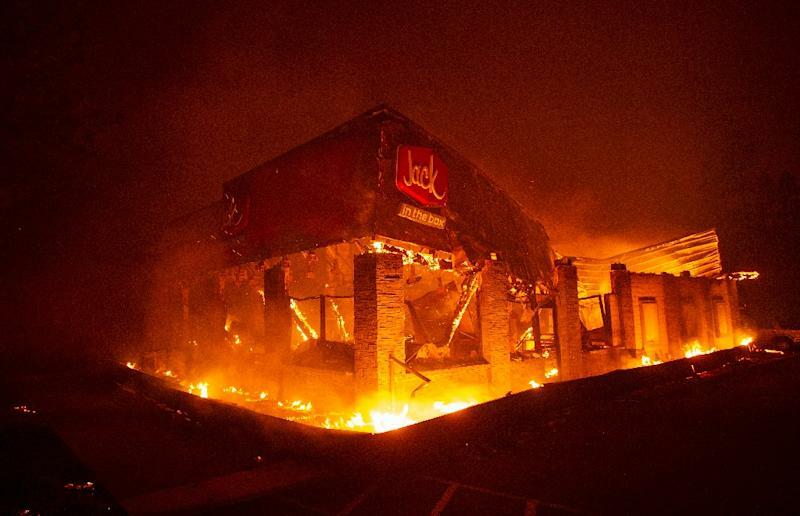 The fast-moving blaze, which authorities have named the "Camp Fire", broke out Thursday morning. Fanned by strong winds, it has scorched 90,000 acres (36,400 hectares) and is only five percent contained, the California Fire Department (Cal Fire)said late Friday. Butte County Sheriff Korey Honea said late Friday it was his "sad duty" to update the Camp Fire death toll to nine. "I don't have all of the details because we have investigators out on the field" trying to reach the locations where casualties were reported, Honea told reporters. But he did say that four people were found inside a vehicle in the Paradise area, while another was found nearby. Three more were found outside a residence, and one inside a house. Officials earlier said that five people had died in vehicles overcome by the fire. "We're just hoping that our brand new home that we were hoping to move into tomorrow is not burned to the ground," Winstead said. California has endured abnormally dry weather for years. Much of the south, including the Los Angeles area, is experiencing drought conditions according to official data. President Donald Trump showed no sympathy for the famously liberal state. "There is no reason for these massive, deadly and costly forest fires in California except that forest management is so poor," Trump tweeted on Saturday. The Ventura County Fire Department said the "Woolsey Fire" had burned around 35,000 acres, was not contained, and that evacuation orders were issued for some 88,000 homes in the county and neighboring Los Angeles County. Out of control wind-driven flames triggered mandatory evacuations, including for the entire city of Malibu. The wildfire destroyed Paramount Ranch, a movie set for cowboy shows including HBO'S Westworld, officials said. TV star Charlie Sheen tweeted that his father, Martin Sheen, and his mother Janet were both missing - but the pair surfaced unharmed hours later at a beachside evacuation spot. "We're fine, we're at Zuma Beach and we're probably going to sleep in the car tonight," Martin Sheen told Fox News 11, addressing his adult children. Sheen said this was the worst fire he had seen in 48 years of living in Malibu.